What a beautiful idea. 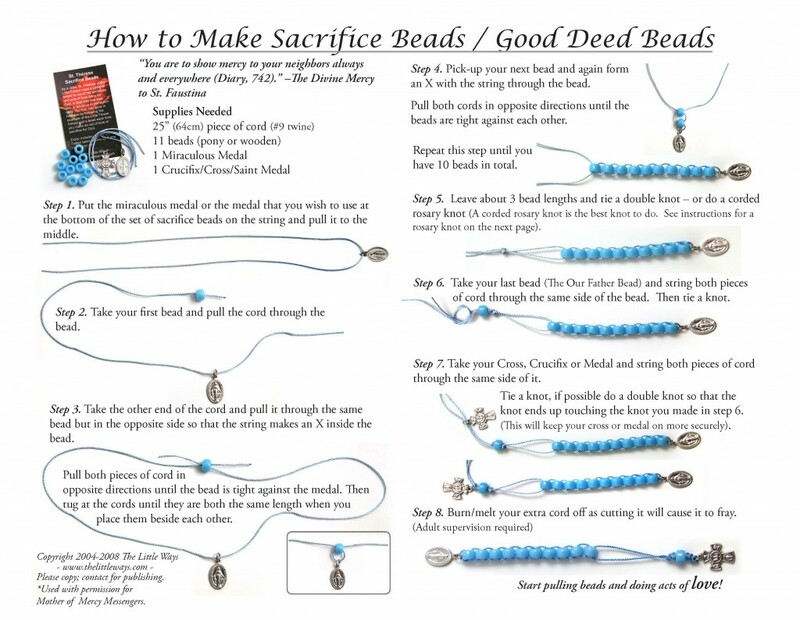 I would like to create these with my entire Catholic School to celebrate the upcoming Holy Year of Mercy. Do you know the best place to purchase the medals, crosses & beads? We will need to make over 1,000! 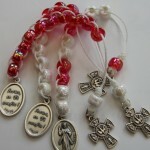 This is lovely, but I’m wondering if you have a document that explains how you pray the chaplet with children. 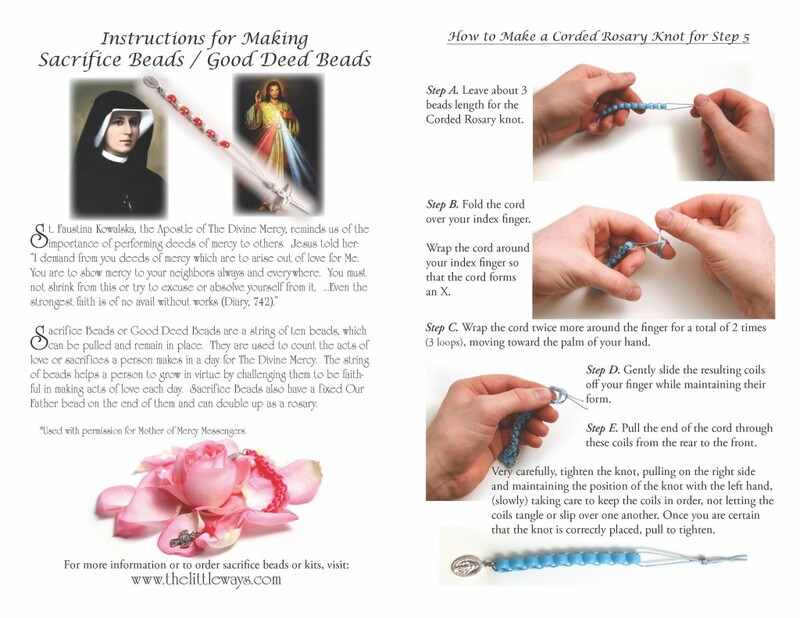 I have read about praying the Divine Mercy Chaplet for adults and it seems a bit confusing. Do you have any recommendations or resources? I am making these at a Family Faith Formation Event. We have over 100 families coming and each family will make 1. Do you know if they sell kits to make these with the beads, string and medals all already divided for each individual? I would love to make these as gifts for friends and family. Can you tell me where you got the divine mercy medals and crosses? Thank you.